Do you want to preserve the file date when you do image conversion? Or perhaps keep the EXIF (Exchangeable Image File Format) date and time instead? In both cases, reaConverter's latest edition supports your needs regarding batch image conversion and customizing output file characteristics. This powerful software allows conversion to and from an impressive number of image extensions (including archaic and rare) and provides an advanced set of customizing tools when it comes to transferring information from the input to the output files. Load one or several images you intend to convert. You can add them manually, add entire folders, load them from image files or use the drag-and-drop tool. In the File options tab tick the Set converted file date box and then pick one of the available options from the dropdown menu. 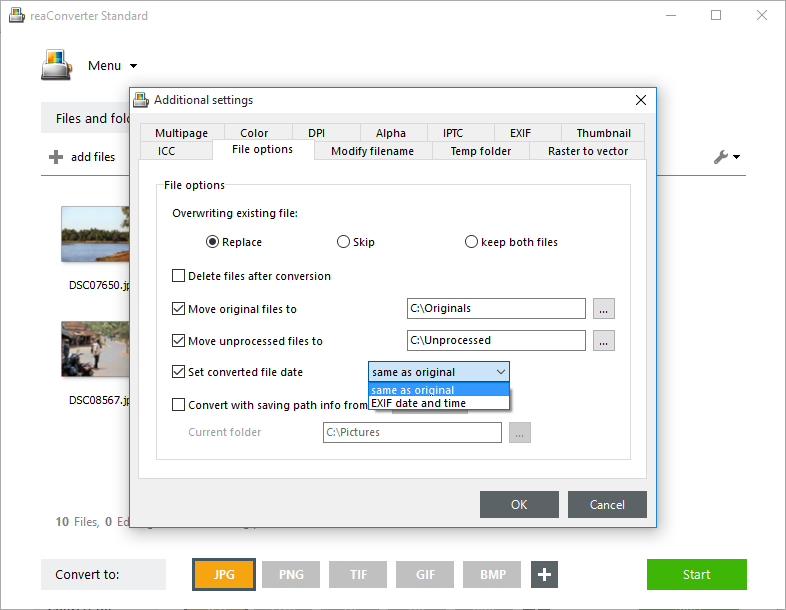 You can choose to preserve the original file date or the EXIF date and time. 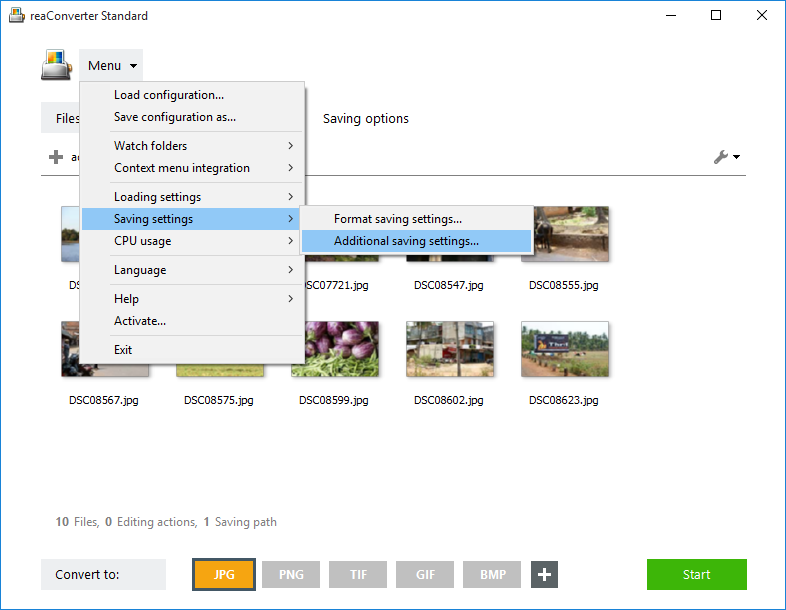 In case you don't want to apply any further image editing, such as rotating, cropping, watermarking and lots of others, go straight to the Saving options section and decide the location of the output image files. You can save them locally, in the source folder or in a newly created one, or online, using Google Drive, Box.net, SkyDrive or Dropbox accounts. Next, decide the extension of the output images by clicking directly on one of the buttons placed in the lower part of the window. Then press Start and soon enjoy your newly converted files with customized date info.